Ever since it was revealed that Warner Bros. is planning an origin movie built around Batman’s archenemy, the Joker, speculation has been rampant about which actor will fill the character’s clown shoes. The film will be under an entirely new DC banner, one that exists outside of the DC Extended Universe, meaning that Suicide Squad’s Jared Leto won’t be making an appearance in the project. According to the report, Todd Phillips will direct and co-write the screenplay with Scott Silver, and Martin Scorsese will produce. While the film’s concept may leave some viewers confused, given how the Joker is already an established character within the studio’s other movie universe, it does leave DC with a blank canvas ripe with exciting story, creative team and casting possibilities. 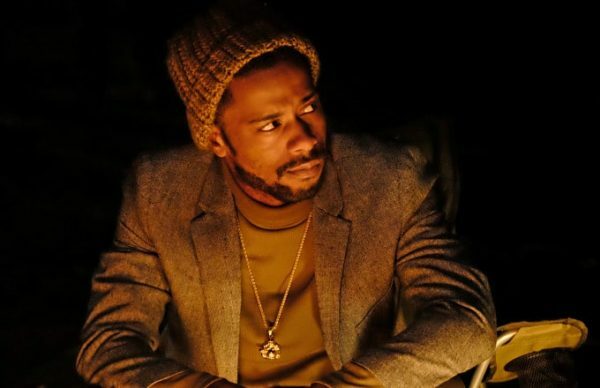 As for the latter, actor Lakeith Stanfield has already thrown his hat in the ring for the role. The Get Out star has come to prominence in recent years with memorable turns in such major films as Short Term 12, Selma, Straight Outta Compton and War Machine. In addition to those titles, he also stars on FX’s Atlanta, one of last year’s most praised freshman offerings, alongside Donald Glover. It’s Stanfield’s most recent work, in Netflix’s live-action adaptation of Japan’s Death Note, that may provide the best evidence for his casting as the Clown Prince of Crime. The actor portrays L, a brilliant, socially awkward and quirky detective, whose body language and gestures suggest that he has no problem inhabiting the skin of an intense and off-kilter character. Stanfield may not have been on anybody’s radar for the role prior to now, but he’s the type of out-of-the-box casting choice that could pay off big-time for DC. Also, given that the actor is African-American and the Joker is almost always portrayed as Caucasian, switching the character’s race could be a nice change of pace.